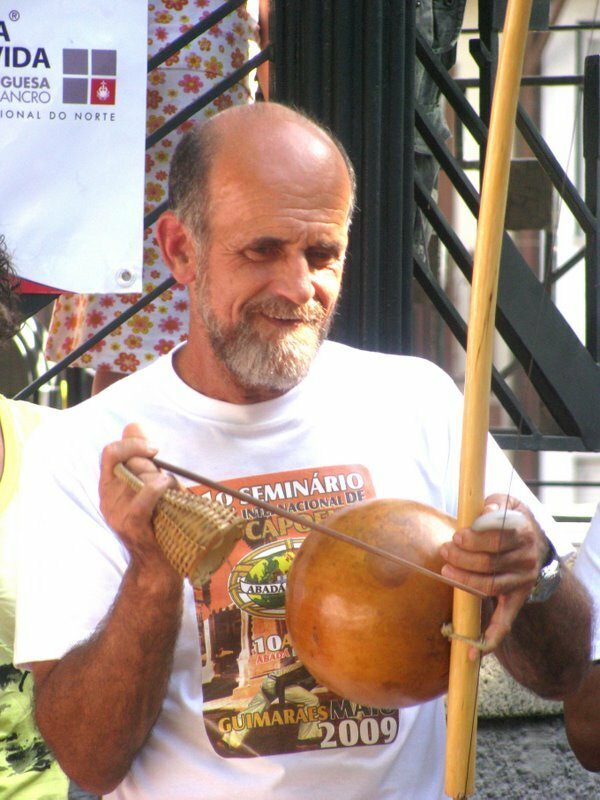 Mestre Camisa (José Tadeu Carneiro Cardoso) was born in 1956 in Jacobina, state of Bahia. He first began practicing and studying Capoeira at the age of seven. He was taught by his older brother Mestre Camisa Roxa, a student of Mestre Bimba, but several years later moved to Salvador to attend Mestre Bimba’s Academy himself. In the early 70’s Mestre Camisa, along with his brother, were part of a yearlong tour of Brazil with the folkloric dance company Olodum Maré. The troupe stayed in Rio de Janeiro for three months and then departed for a tour of Europe. 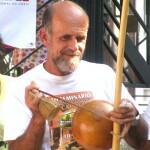 Mestre Camisa, however, remained in Rio and began earning his living by teaching Capoeira. Since the beginning of the 80′s, Mestre Camisa has been drawing on Mestre Bimba’s teachings to develop his own style by adding his unique technique and methodology that improved the martial aspect of Capoeira, and which has placed Mestre Camisa as a leading Capoeira master in the world. At first, Mestre Camisa was a part of Group Senzala, but in 1988 he created ABADÁ-Capoeira (Associação Brasileira de Apoio e Desenvolvimento da Arte-Capoeira – Brazilian Association for the Support and Development of the Art of Capoeira) that is one of the biggest Capoeira groups untill today. On May 28, 2010 was given the title of Doctor Honoris Causa to Mestre Camisa, bestowed by the Council of the University of Uberlândia, Brazil. Indicated as eminent person who contributes to the development of Afro-Brazilian culture and holds valuable knowledge about Capoeira, Brazilian Intangible Heritage, and is distinguished by his social performance and cultural education in Brazil and abroad.